Thanks for all the coverage of this. I wonder how the XMRV saga will end up affecting CFS research in the long-run, and whether it will have drawn attention and a new sense of moral impetus to the problem, or will have just strengthened the association between CFS and quackery, putting off better researchers from getting involved? hmm… there was 18 comments earlier, they seem to have disappeared..ooops! I think its very important you have one of these scientists on your show, so we can hear what work they are doing and what there thoughts are. Speaking way too soon on this subject Dr. R. Its not over, even your colleague Dr. Lipkin has not written off XMRV. thanks rrm… that’s where I saw them….. There are prominent scientists that do not believe HIV causes AIDS, should they be included in HIV/AIDS discussions? Yes it is. And your links are busted. It was a very strange show, with lots of posturing. Mangan is towing the line and saying XMRV is over. But now we have lots of studies finding the virus. 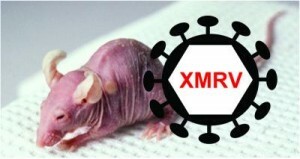 XMRV is a human retrovirus! donors, HIV-1 infected and HTLV uninfected subjects. Not one study has attempted to replicate Lombardi et al. @Gob987:disqus So are you arguing that biomarkers, accurate diagnostics and treatments that move beyond the psychological are not needed? Or maybe even that more funding than the NIH also currently devotes to hay fever is not needed either? Because Dr. Mangan apparently thinks so. This was a great podcast, and I’ve been hoping each week since the papers came out that you would cover it. Dr. Goff really helped explain what the papers were saying. As always, I love twiv! Why exactly is it that every fake anti-science “CFS” study is just peachy, but one of the best bona fide ME studies of all time is asked to be retracted?? Based on the fact that some inferior studies haven’t been able to confirm it, while others, published and unpublished have? This is obviously just one more transparent attempt to crush ME patients and science. Mangan said at the SoK workshop that there will be no increase in funding of ME at NIH. The NIH invitation for grant proposals said any other definition than Fukuda (including CCC) had to have a good argument behind it, etc. NIH doesn’t care if we live or die, as usual. So the links are busted. It doesn’t mean these and other evidence of HGRVs being human infections do not exist. We do not know for sure whether or not HGRVs are associated with ME. They may well be unassociated, but we DO NOT KNOW yet. So ‘they’ should stop saying that we know for sure that the two are unassociated. And they should stop accusing those who point this out of being unscientific. There is a very long and very clear history of NIH, CDC, the UK government and a small cadre of UK psychiatrists waging a war on ME science and patients. The present shenanigans are more biased attempts to crush valid ME science. Hmmm… apparently Wessely thinks that he ‘is reviled by many with CFS for emphasizing the neuropsychiatric aspects of the syndrome’. He always comes up with some explanation for it the avoids addressing his own mistake of the harm they’ve done to patients. He probably sees this as a healthy neuro-cognitive response. Thanks for the link. CFS is such a difficult condition to do meaningful research on that I can understand the temptation not to bother with it. The exciting thing about XMRV was that it gave science a really solid starting point – without that, it’s difficult to know how to best move forward. @b43054973034ee54cce92da7d3459780:disqus So, same question. Are disagreeing with Dr. Mangan that biomarkers, accurate diagnostics and treatments are necessary? I don’t think you read the article very closely. going to turn its back on it.” Since Dr. Mangan actually works for the NIH I’m going to assume he knows what he is talking about. @Gob987:disqus Your toeing (towing) the line comment. Mangan is towing the line. You seem to be plucking comments from thin air. Here is my comment again. 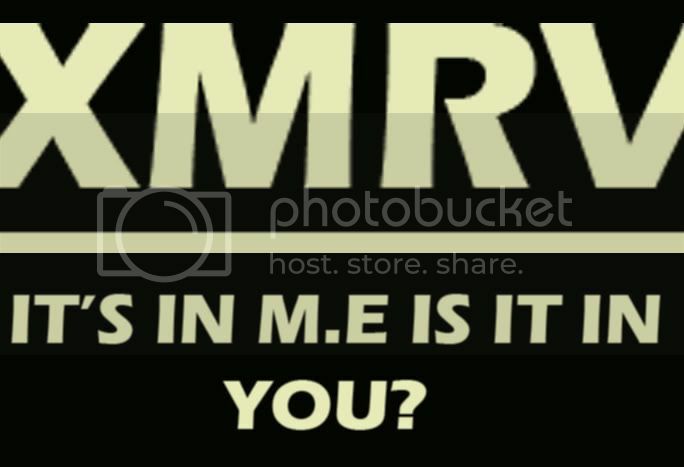 Thank you for another interesting TWiV on XMRV. I heard you discuss the findings that XMRV added to human blood was quickly destroyed, likely by serum complement, making it very unlikely that XMRV was able to infect humans. How could XMRV be successfully used as a gene transfer vector if it is immediately damaged by serum complement? Am I missing something? 3. And most importantly, what’s damaged by serum is the outside of the virus particle. You don’t need to (and almost always you don’t) use the wild type envelope protein of the retrovirus in gene therapy. Retroviruses can be pseudotyped by other envelope proteins (either from other retroviruses or even other viruses such as VSV). The authors of Paprotka et al should all be ashamed of themselves from claiming the virus was created in the 90s based on the evidence presented. A totally unscientific was to go about research. I’d like to thank prof racaniello (and guests) for doing these podcasts. Ihave me/cfs and the xmrv theory both worried me and filled me with hope. 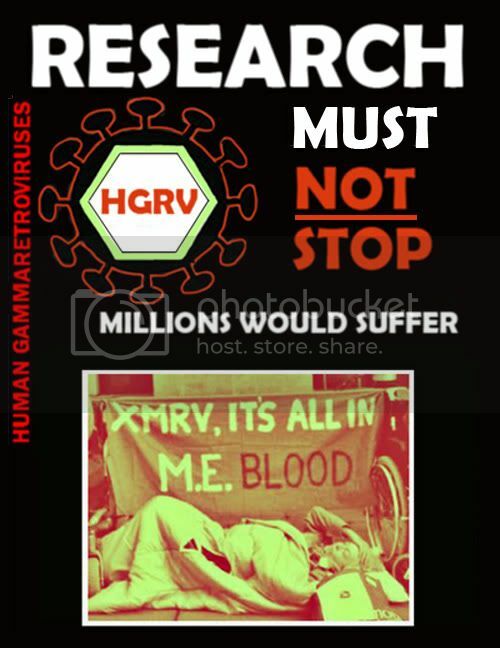 thanks to your coverage i feel i understand a little of the science and no longer believe that xmrv is a disease causing human gamma-retrovirus. It’s difficult to know what or who to believe sometimes so i’m grateful to get information from independent commentators. Given Dove’s previous mischaracterizations about the history of CFS (and the very nature of CFS itself) and his defensiveness regarding how he indirectly profits from these BELIEFS, I have to agree that his recommendation is appropriate but perhaps in a manner that reveals more about himself than he intended. I don’t really think it’s fair to currently class these people as equivalent to HIV denialists, do you? I think it would be great to hear Racaniello talk this through with them. Apparently Frank Ruscetti was still sounding positive about XMRV at the recent symposium, and it would be interesting to hear why. So far, we’ve not heard much debate between the two sides – just people brining out conflicting data. The ‘negative’ side have got some compelling evidence behind them, but I’d still be interested in hearing the different arguments going on behind this, and how those continuing their XMRV work account it. From what I have read sofar, I think Enteroviruses are behind ME/CFS. First of all, there is the most recent work by Dr. John Chia. He finds VP1 enterovirus protein in about 80% of gut biopsies of people with ME/CFS he tested. Furthermore the viruses he find show about 80% homology to Coxsackie B. The work of John Chia is based on the earlier work of British scientists, (mainly James Mowbray if I’m not mistaken) who found VP1 in gut and muscle biopsies of ME/CFS patients.But for me the key (and the best clinical description of the earlier outbreaks of ME/CFS I could find) is “The saga of Royal Free disease” by A. Melvin Ramsay: He describes how in villages in Icland in 1948 that suffered an ME/CFS outbreak were sparred from a following Polio outbreak that hit other villages. And he describes how an Polio outbreak in Adelaide ceased abruptly to be replaced by an ME/CFS outbreak.Furthermore, if you haven’t read it, I can recommend the book Osler’s Web to get a feeling why ME/CFS is such a minefield – and a nightmare for those suffering from this disease. Goff actually repeated several assumptions as fact and was incorrect on many points. Here is one example. Goff stated that PreXMRV-1 and 2 are xenotorpic. If that were correct they could never have recombinated to create XMRV, as this virus is a polytropic xenotropic hybrid. Why are so many organizations ready to throw out the baby with the bath water? It almost smells of conspiracy. The link is fine but I changed it to the full URL anyway.